Motivate your colleagues by joining today for FREE! Just 10 minutes of activity a day can help you feel better, improve mood and concentration and help improve sleep. Organisations across Hertfordshire will be taking part in the challenge, which lasts for 8 weeks, and encourages staff to build activity into and around their working days. This is for ALL abilities and everyone is encouraged to do a little bit more activity than usual. To sign up, visit www.workplacechallenge.org.uk/signup. Once registered, you will need to log your activity each week and everyone can gain activity points, with prizes to be won throughout the challenge. The challenge runs until March 4, 2018. Get set, GO! Passing through peaceful fields, quiet footpaths and lovely villages, The Hertfordshire Way is a long-distance waymarked path that guides you all the way around the county. It’s now easier than ever to enjoy, thanks to a new full-colour edition of the official guidebook which divides the route into 16 manageable legs of between 9 and 15 miles. Each starts and ends as close to public transport as possible and is clearly described with a detailed map, delightful watercolour pictures and photos of highlights along the way. The whole route itself is clearly marked with distinctive green and white roundels and signposts. 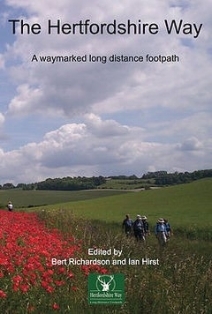 Cost: £10 (+ £1.50 postage) and is available from the Friends of the Hertfordshire Way. Contact hertfordshireway@gmail.com or visit www.fhw.org.uk. Get active while giving something back to your community. The Countryside Management Service has plenty of opportunities across the county to help you get started, with several FREE training dates in the pipeline (see below). Midweek Practical Conservation Volunteers Tasks run every week, Tuesday, Wednesday and Thursday; email for more details. Rights of Way Surveyor Next training date: Saturday February 10, 2018 in Hitchin. Guided Walk Leader Next training date: Thursday March 8, 2018 in Hertford. Hertfordshire Health Walk leaders Next training date: Wednesday February 21, 2018 in Watford. Hertfordshire Health Walk Ambassador Next training date: Wednesday February 28, 2018 in Welwyn. 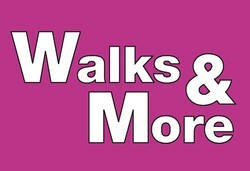 For more information call 01992 588433 or email northeast.cms@hertfordshire.gov.uk or healthwalks.cms@hertfordshire.gov.uk. An easy stroll around beautiful North Herts countryside, identifying wildlife, fauna and flora. Pocket sized books for each subject--birds, animals, insects butterflies, trees wildflowers fungi - are provided. Meet at the former Windmill pub in the middle of the tiny hamlet of Charlton, SG5 2AE. No need to book, just turn up. Join Hertfordshire Health Walk leaders for a circular brisk walk. Meet at the Nigel Poulton Community Hall, SG14 3SF. No need to book, but please register as a Health Walker online beforehand.